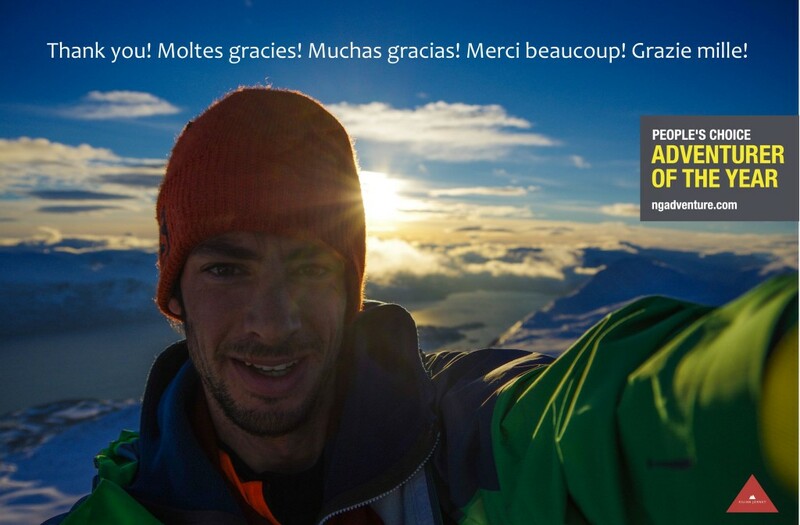 » Kilian, Adventurer of the Year! Kilian, Adventurer of the Year! National Geographic designates Kilian Adventurer of the Year for his records in the project Summits of My Life and for helping popularize skyrunning and mountain sports.